We are a family run business and we flippin’ love food! As soon as we’ve had breakfast we are always thinking about what we are going to make for lunch and dinner! We talk about food all day and we love to chat with our customers about it. 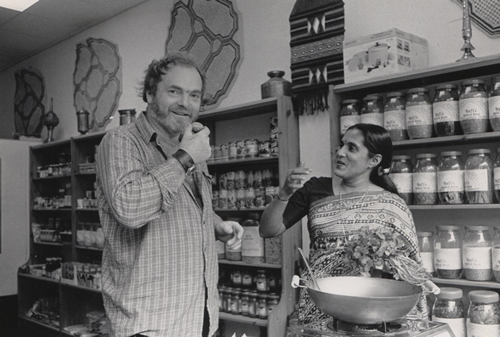 Since opening the first Rafi’s Spicebox in 1989, the ethos has remained the same. We want everyone who visits us to feel confident that they can go home and cook delicious food to feed their families and friends, whether they leave with a bag full of goodies or simply a couple of pinches of spice and a recipe idea. We have a passionate team who we invest a lot of time in training, to make sure you get the best experience possible. Our team have a thirst to continue learning and exploring the fascinating and varied world of spices and Indian cookery. We are always coming up with new ideas and recipes to share with you. We’ve now got shops in Sudbury, York, Harrogate, Newcastle and Leeds, as well as sending all across the world via mail order. Wherever and whenever we see you next, we hope we can inspire you to get into the kitchen and cook up something tasty! Rafi Fernandez was born and raised in Hyderbad, India. She moved to England aged 21 in 1965, marrying her Malaysian childhood pen-pal shortly afterwards. 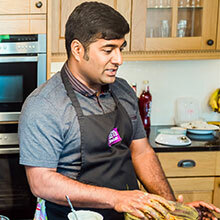 Through their combined heritage and many travels around the world, Rafi became an expert in Indian and Malaysian cooking. 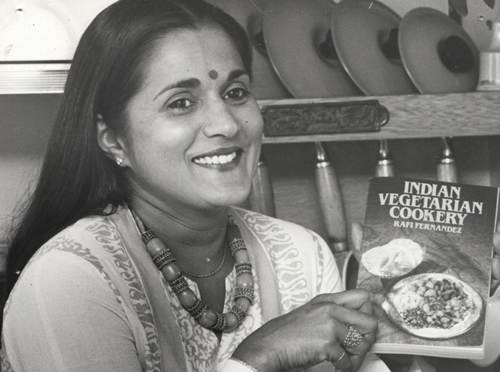 She wrote a number of cookbooks and taught many classes to people in her local community. In 1989, she made the brave decision to open her own Asian delicatessen, perhaps not the kind of shop one would expect to find in a quaint town in rural Suffolk! This was done with the help of Rafi’s second husband, Den. Rafi was a determined and passionate lady, and her shop is still there today; a testament to her hard work and unforgettable personality. 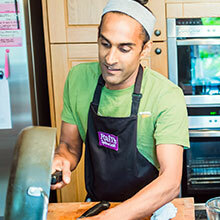 The now famous ‘Rafi’s Curry Pack’ came about a few years later, as customers to the spice shop regularly asked Rafi to put the spices together for them for certain dishes. Rafi packaged up spices and other ingredients and sent customers away with recipes and advice for cooking a curry using the pack she’d just made for them. Our most popular product was born! 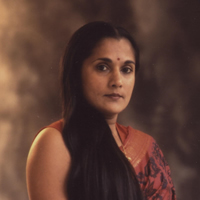 Her love of cooking and of sharing her foodie knowledge was obvious to all who met her, as many of our customers and staff still fondly remember. 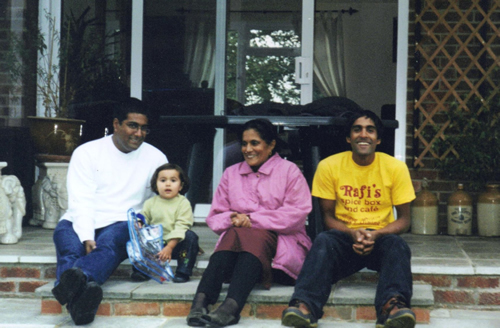 Rafi sadly passed away in 2013, but her memory lives on as an integral part of our business, now run by her two sons Kevin and Lee and a team of avid foodies. I officially joined the Spicebox in 2004 when we opened the York shop, although I can still remember the day the family were stacking shelves in the first shop in Sudbury back in 1989. The Spicebox has changed considerably over the years and I am enormously proud of our achievements as a business and as a family. To say I am food obsessed is an understatement and to be able combine this with work and a fantastic team is great! Whilst managing the business keeps me very busy, it also offers me the freedom to enjoy my other passions including travel, music and The Mighty Spurs, with my very supportive wife Donna and daughter Lily. I started working with my Mum in 1998. 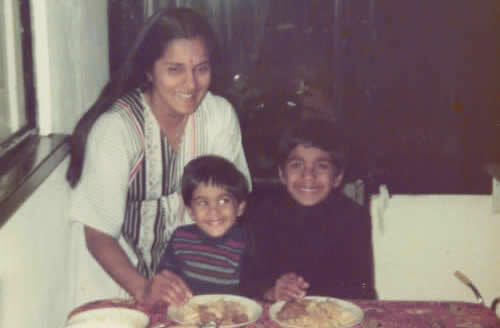 Back then it was just my mother, her partner and myself running the business. I have been so passionate to develop the Spicebox from the moment I started and have put my heart and soul in to it over the years. Once my brother joined in 2004, we really began to modernise and allow the Spicebox to grow. I am very proud of what we have achieved as a family and it is wonderful to see our passion in our fantastic team as they now continue to take the business forward. I love training staff and sharing my knowledge. Talking about food all day and inspiring people to cook, what could be better? !